Many congratulations to Mr & Mrs Taylor who had their wedding reception at the Somerdale Pavilion in Keynsham (old Fry’s club), the club has certainly transformed over the years, now with a brand new building that looks awesome, a perfect venue for any event. The old building was very tired & glum, but the new building is just great. They had the lovely Enchanted Weddings supplying the room decoration & they did a fantastic job as always. 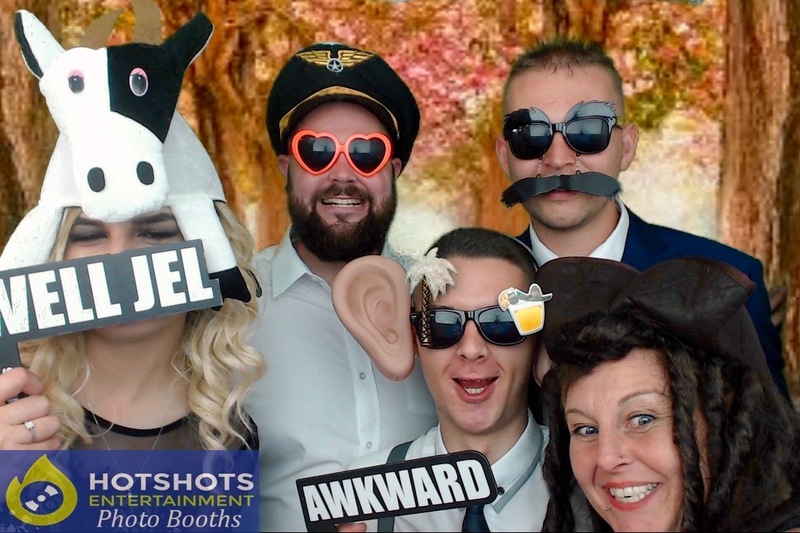 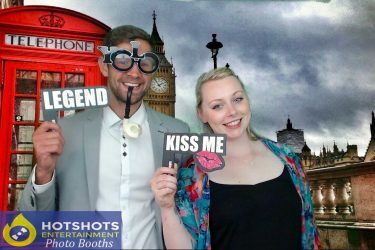 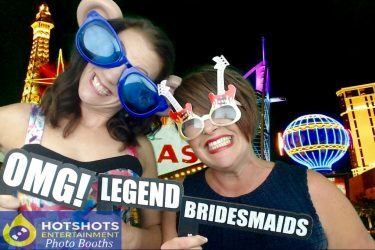 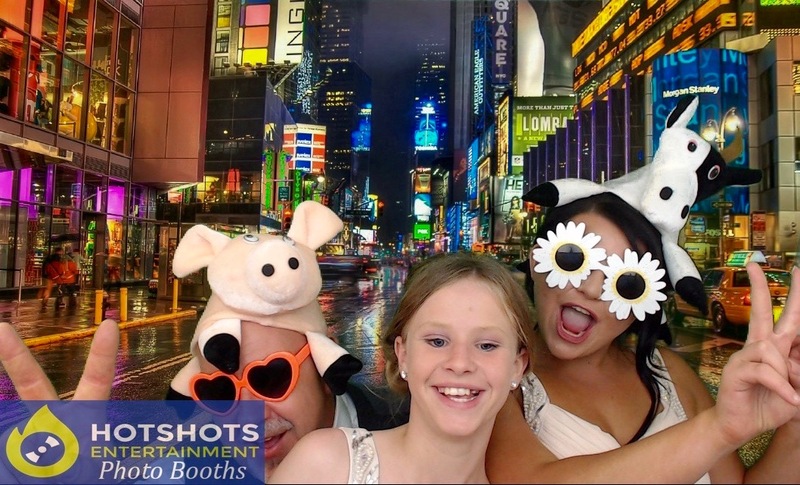 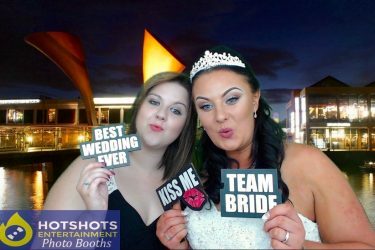 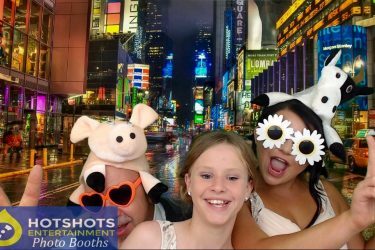 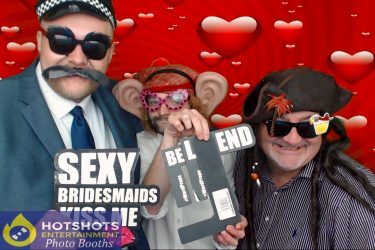 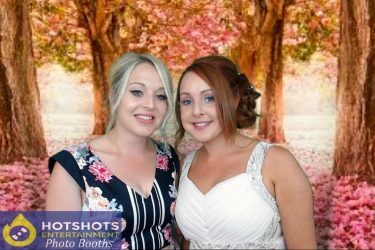 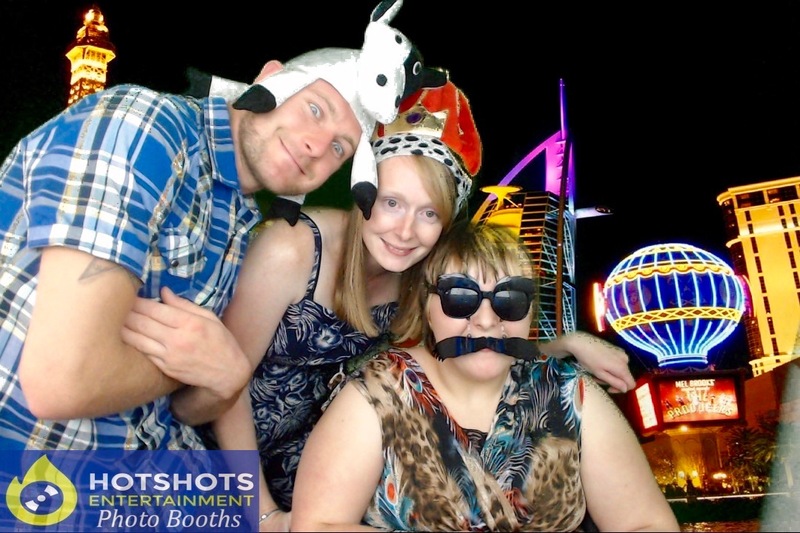 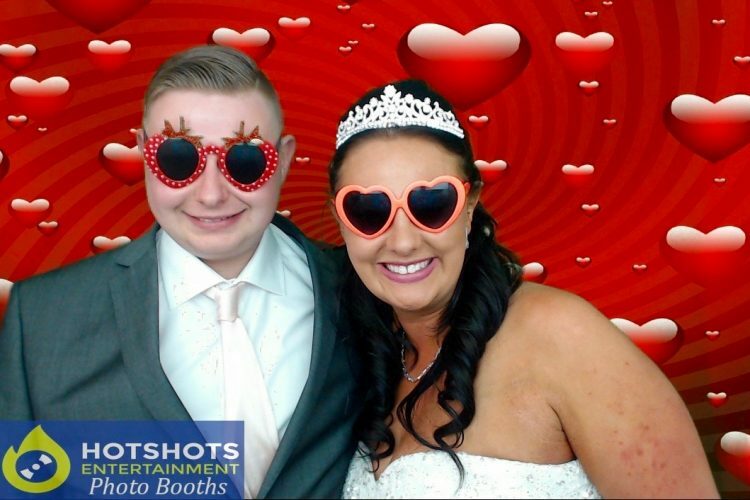 Hotshots Entertainment were booked in to provide a photo booth for a 2 hour hire, we used a different camera this time due to a guest who was in a wheelchair, yes we can fit a wheelchair & a couple of guests in with them, no-one misses out on having a great time. 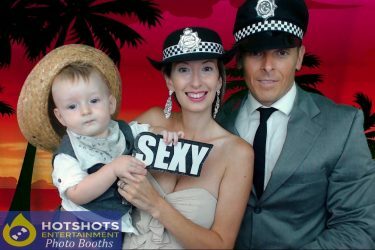 I hope you all had a good time I know the children did, as the photo booth attendant, Rebecca told me they loved it, in & out as much as they could. You can find a few pictures below & then you can find the rest HERE.